When pitchers and catchers are called to Florida and Arizona, it brings the annual rebirth of America’s pastime. It also marks a time when pasture managers need to start frost seeding or begin giving it serious thought. Much of the mid-South is currently in the frost-seeding wheelhouse; those in the North may be a couple of weeks away. Regardless of location, the principles for successful frost seeding are universal. Because frost seeding carries a higher inherent risk of success than conventional seeding, attention to detail becomes more critical. Yes, it’s easier and cheaper, but that doesn’t mean attention to detail isn’t important. In fact, there may be less room for error. 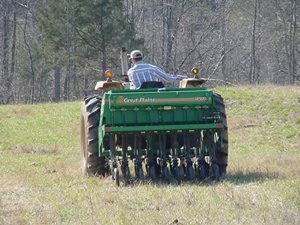 Frost seeding is almost always done to establish red, white, or some other type of clover in pastures, though some success has been experienced with other types of legumes and ryegrass. Chris Teutsch, University of Kentucky extension forage specialist, points out that clovers can play a key role in providing nitrogen to pasture grasses and are valuable as a mitigation tool for toxic tall fescue. Legumes, such as clovers, can also add substantially to the quality of the pasture herbage by providing a higher crude protein content, which many times will enhance animal performance. Why do frost seedings fail? Sometimes it’s just bad luck that comes with less than desirable environmental conditions, but in most failed seeding situations it comes down to poor seed-to-soil contact or too much competition once the seedlings do get established. Seed can’t germinate and grow if there isn’t contact with soil. That seems pretty elementary, but it’s been cause for many failed frost-seeding attempts. In the North, paddocks designated for frost seeding need to be grazed hard in late fall; this exposes more soil for the broadcast seeds to land on. Farther south, grazing to remove residue can sometimes be accomplished right before frost seeding. Frost seeding clovers into a bunch grass species will be more successful than into a heavy sod-forming grass such as Kentucky bluegrass. In the latter’s case, soil exposure is difficult to obtain. “Drilling or no-till drilling is an option that may lead to better seed-to-soil contact, says University of Missouri livestock specialist Patrick Davis in a recent news release. Wayne Shriver, manager of The Ohio State University’s Eastern Agricultural Research Station, agrees. He prefers to frost seed with a no-till drill rather than a broadcast seeder. “When the ground thaws, it will close over and give seeds a chance to germinate,” Shriver says. “We think the drill gets 25 to 50 percent better germination than broadcast seeding. Of course, the drill takes more time and is more of an investment in equipment. That’s the trade-off,” he points out in the Ohio Beef Cattle Letter. Once germination occurs and seedlings emerge, they will face a tough environment. “This is where a lot of frost seedings fail,” Teutsch says. Existing pasture species don’t wait for their new pasture mates to grow and catch up, so minimizing competition is a second important key to success. Established plants compete with the seedlings for light, nutrients, and moisture. 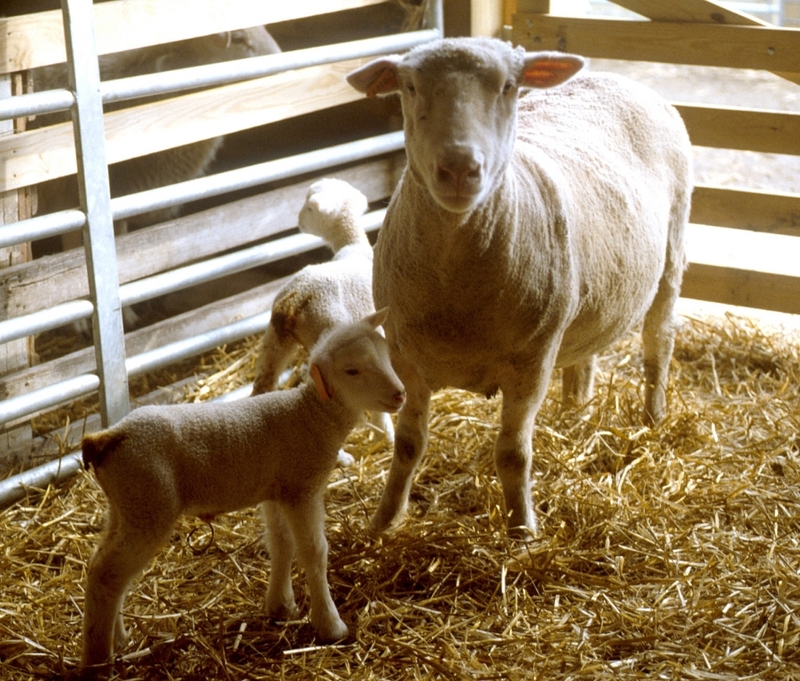 Teutsch recommends grazing pastures once seedlings establish. He notes that timing is critical. “You want to remove some of that fast-growing top growth to open up the stand, but you don’t want to leave cattle out there so long that they begin consuming the new seedlings,” he says. Once the new legume seedlings reach about 6 inches tall, paddocks can be put back into the normal grazing rotation. Making sure soil fertility and pH are at recommended levels, using quality seed from improved varieties, and seeding at an effective rate also contribute to frost-seeding success. However, none of these factors will overcome poor seed-to-soil contact and minimizing competition after establishment. Posted by Braden Campbell at 8:00am February 20, 2018 Posted in Forages and Pasture and tagged Forages and Pasture, Management. Bookmark the permalink.